" Dog skin disorders can occur anywhere on the body since skin is the largest exposed organ on the body is surely susceptible to various canine skin conditions. Skin is also considered as the first line of defense in terms of immunology, therefore it is an initial target area for any pathogen. Dog skin disorders may range from minor rashes to a generalized pyoderma (pus containing skin infection), tumors or cancer. Various parasites, bacteria, allergic factors (house dust mites, molds, pollens), hormonal imbalance, nutritional components and hygienic factors can result in dog skin disorders. Clinical signs and symptoms vary or can indicate multiple conditions that result in similar symptoms such as ringworm, mange and a bacterial skin infection. Depending upon the conditions and causative factors, diagnosis primarily depends upon a physical examination followed by confirmatory laboratory procedures. 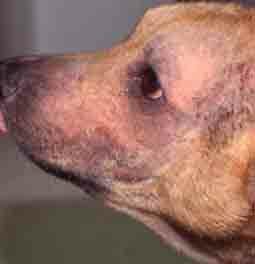 Treating dog skin disorders may involve the localized administration of medications to treat the condition and in severe cases a generalized treatment plan which addresses any underlying cause. " Dogs Skin is the largest exposed organ of the body. It protects the body from various pathogens, allergic factors & environmental fluctuations. It has two parts, the outer harder “epidermis” and deeper soft tissues or “dermis”. Sebaceous glands, sweat glands and hair follicles are also embedded in the skin (from where the hair rises), which all all designed to keep the skin kept moist and oily. Dog’s skin is supplied with a rich blood and nerve supply, which helps nourish the skin and makes the skin sensitive to any stimulant. Dog skin anatomy and the diversity in it reveals its susceptibility towards various disorders. The Pathophysiology of skin shows that it is a habitat for a number of environmental and dermal microbes, which upon extensive growth can cause skin disorders. Similarly skin is very sensitive towards environmental and parasitic allergens, and responds actively to them. Various breeds of dogs are more susceptible to skin disorders then others. Shepherds and poodles are such examples of dogs with relatively sensitive skin. See our list of breeds and dog skin disorders. 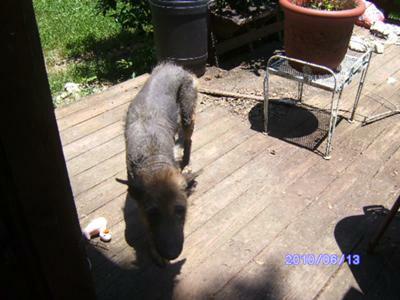 The Terrier on the left is Suffering from a Dog Skin Disorder Called Atopic Dermatitis or Environmental Allergy. Dust Mites or Pollens. The Same Terrier on the Right is Pictured after Successful Treatment. It can be Treated, but not always Cured. Dog skin disorders may occur on the surface of the skin, deep in soft tissues and at the base of the hair, considered as the three tiers for dog skin disorders. 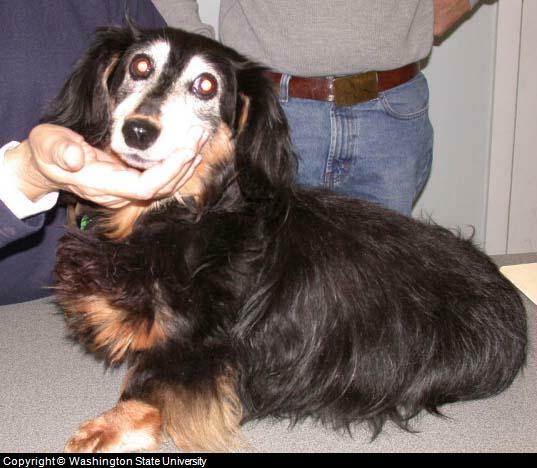 Parasitic Infestations; This is a common type of dog skin condition. 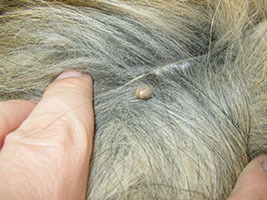 Parasitic infestations represent a spectrum of conditions a dog may experience. 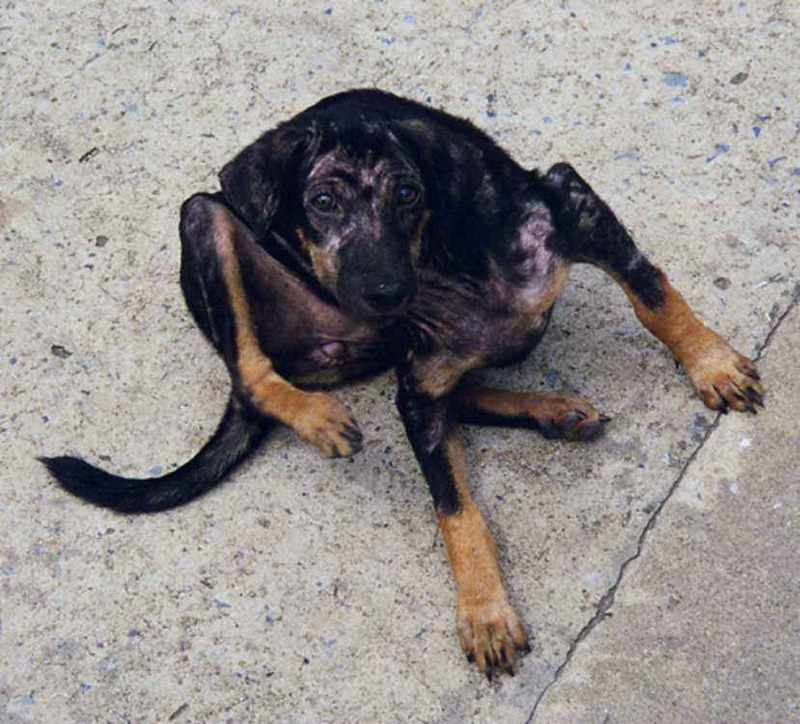 Mange is more common, caused by a mite infestation. Demodectic or red mange, Cheyletiellosis or walking dandruff, Ododectic Mange and Trombiculiasis are some examples. Mange is characterized by itching, skin rashes & crusts, nodules, alopecia (hair loss) & secondary bacterial infections in general. Treatment usually involves several lime-sulfur dips such as the over the counter Naturasil. In addition to a dip, prescription medications such as Ivermectin and selamectin are used via injection (Parenteral) and oral administration. After the use of a dip, a dog could also benefit from the use of a medicated anti-itch shampoo 2x per week such as Synergy Labs Medicated Anti-Itch Shampoo. 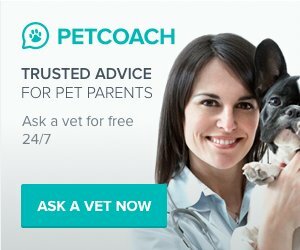 Once skin and coat condition has been restored, a dogs normal treatment routine or other approach recommended by a veterinarian can be followed. A dogs environment should also be cleaned with a disinfectant formulated to kill parasites (mites etc.) such as Benzarid. Wash all of the dog belongings in a liquid detergent and vacuum the home thoroughly. Flea infestation is another parasitic skin disorder. Flea’s embed themselves deep into the skin tissues. They cause anemia (low red blood cell counts), flea–bite allergy, inflammation, skin abscesses and generalized disease (affects the entire body) in dogs. Shampooing with medicated shampoos containing flea repellents, pyrethrin, nitenpyram can help to eliminate fleas, however a flea dip can be more effective at killing fleas and providing some lasting protection. This should be followed by the use of a spot on such as Frontline Plus. Be sure to follow the manufacturers directions. Ticks and Lice; Various species of ticks and lice may cause skin disorders like rashes, wheals & sometime a generalized rough skin and a coarse coat accompanied by fever. Tick borne illnesses include lyme disease and rocky mountain spotted fever. If the ticks are removed in less than 24 hours, there is little to no change that any disease spread from tick to dog. Watch your dog for 3 weeks to see if there are any behavioral changes such as lameness, lethargy, and loss of appetite. If you see any changes, see your veterinarian. If treatment is required for illness such as dog lyme disease, then -anti-biotics are required. It is essential that ticks in all cases be removed as quickly as possible. Canine Bacterial Infections; Opportunistic species of bacteria can cause secondary complications to dog skin. Once the immune system of a dog gets depressed and bacteria finds an untreated skin disorder, bacterial infection can occur. Species of staphylococcus, micrococcus, bacillus & pseudomonas etc. are common examples of such bacteria. Secondary canine bacterial skin complications of parasitic infestation, fungal infections and injuries are common examples. Bacteria can cause pyoderma (puss filled skin infection), dermatitis, fever, illness, seborrhea, crusts, rough skin , a coarse coat and progressive degeneration of skin tissues in general. Treatment usually involves localized application of antibiotics, medicated shampooing and oral administration of broad spectrum antibiotics, along with supportive supplements. Canine Fungal Infections; A number of fungal species like that of Microsporum, Trichophytons, Blastomyces, Actinomyces and Cryptococcus can cause dog skin disorders. 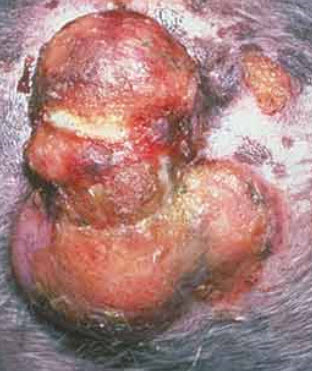 Dog ringworm is a common dog fungal infection. Canine Fungal skin infections are characterized by skin lesions, exudates, alopecia, deep tissues involvement as swelling and ulcerations etc. Anti – Fungal drugs and shampoos are very effective containing enilconazole, ketaconazole, flucanazole, amphotericin etc which are all very effective. Several Anti – microbial drugs are also considered for treating fungal infections but should be tested for sensitivity prior to administration. An all natural approach is to combine a product like Naturasil Ringworm (lime-sulfur) with either your dog's existing shampoo or with a high quality herbal shampoo. Dog Skin Tumors; In recent years dog Skin tumors have emerged as an important dog skin disorder in recent years. Various benign and malignant tumors and cancers can cause skin disorders. Benign tumors can cause lumps, swelling & suppression of immune response, while malignant form of tumors are usually cancerous, spreads to whole skin & other parts of body and are usually fatal in nature. Skin lesions, incurable skin dermatitis, alopecia, repeated infections & progressive loss of conditions may be exhibited in malignant form of tumors at skin. Several carcinomas & sarcomas are examples. Mast cell tumors, squamous cell carcinomas, Melanocytic tumors, hemangiosarcomas & histiocytomas are some examples of skin tumors. Treatment involves surgical resection of tumors and cancerous cells, radiation & anti–cancer drug therapy. Allergies; Dogs with skin allergies are very common. 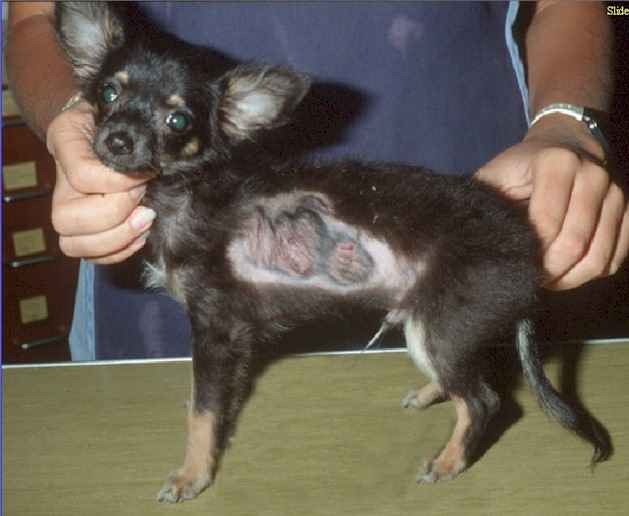 Flea–bite allergy, canine atopy, and food borne allergies are some examples. Fleas may contain histamine like substance in their mouth, which when a skin bites occurs can cause an allergic reaction in the skin tissues. Similarly environmental and pollen allergies can cause canine atopy (hypersensitivity). Various dogs are allergic to some components of dog food. Some proteins, fats and sometimes types of vitamins can cause skin allergy in dogs. Another common form of allergy is due to an insect bite, like that of wasp bite. Canine Skin Allergy Symptoms on Face Can Look Like Other Dog Skin Disorders Such as Mange, Ringworm and Skin Infection. Dog skin allergies are characterized by inflammation of the skin, redness, rashes & sometimes systemic illness. Use of anti–histaminic drugs & care in nutrition usually resolves condition. 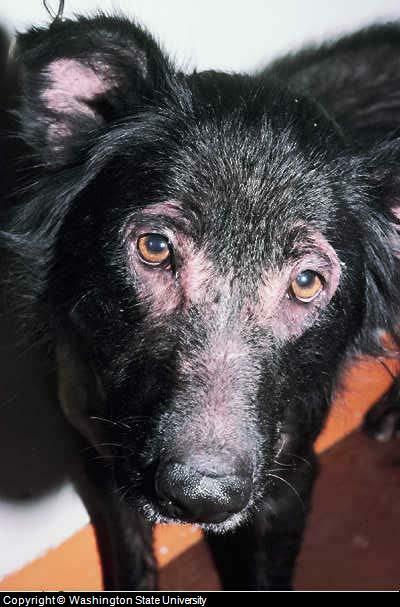 Dull & Dog Black Skin Disorders; Dog black skin may appear symptomatically dull, dry or black sometimes. This may be due to a hormonal imbalance like in hypothyroidism. A dog’s skin may get blackened due to thyroid gland disorders or tumors, melanin – skin pigment problems, or in the aftermath of several allergies, infections and parasitic diseases. Treatment usually involves hormonal therapy, proper grooming and bathing with cleansing shampoos, a change in dog food and also the application of herbal remedies containing mustard oil. In addition to the specific treatment used to eliminate the underlying cause of any dog skin disorders, a homeopathic supplement might also be of value. Products such as skin and coat tonic can be used in addition to other treatment approaches to improve skin health and to boost a dogs immune system. These types of treatments are only used in support and are not a cure. They help to reduce the severity of symptoms, speed healing, and maintain coat and skin health.